Big Mountain House #10-cans Sale ... Up to 12 Survival Freebies! Headlines are alarming. Outlooks are grim. And they're hiding the truly scary developments because you can't handle it. Or can you? Are you doing what needs to be done at the personal level to maximize the survivability of you and yours? Well we know there are plenty of folks who know the score, and it happens we're in a position to help. So what is Safecastle doing? Some here in our steel-plate bunker HQ have said we're getting "irrational." 1. Right now, we're offering huge discounts on all Mountain House freeze-dried food in #10 cans--up to 32% off. 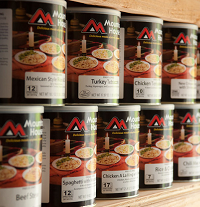 Of course, Mountain House is the gold standard of long-term storage food, bar none. It all ships FREE to the lower 48. 30-year shelf life, award-winning taste, decades of proven performance. Buy it now and get fast free shipping. 2. Our buyers club members not only are getting the best storage food at the best prices, but they are also qualifying for up to 12 survival freebies! We are talking retail value of about $1500 in gear available--FREE with qualifying purchases! This is all part of our ongoing Road Warrior Bounty Sale. It's crazy, it's dangerous, and it's necessary. Is YOUR "lifeboat" squared away? Canned Butter, Cheese & Ghee On Sale Now! Nothing is better in your pantry than Bega Cheese, Red Feather Butter, and World Grocer Ghee (clarified butter), whether for everyday use or for long-term storage. For a short time only, we are cutting our margins to be able to provide you with nice discounts. These real dairy products are necessities in your pantry--no refrigeration needed! Countless customers tell us the Red Feather real butter is the best butter they've ever tasted! The Bega canned cheese is a classic, worldwide favorite. The pure World Grocer canned ghee is must-have. Did you know that there are no other viable cooking oils that will keep for more than 18 months? This canned ghee is in fact a favorite of chefs around the country! Steed: On a folding, wheeled steed you'll ride! World-famous Montague folding bikes are going fast at these low spring prices. BIG discounts PLUS a FREE Montague Accessories package (value $160) with any bike purchase ... just enter coupon code Steed in the checkout. Feed: High-protein Yoders canned meats are must-haves for your larder. Lower prices cannot be had than what we are now offering. Seed: Organic Liberty seeds in steel resealable ammo boxes are going out the door at our cost--while supplies last! AND with any Liberty Seeds purchase, get two FREE books (The Vegetable Gardener's Bible and The Backyard Homestead - value $44) ... just enter coupon code Garden in the checkout. Huge discounts PLUS freebies with qualifying purchases! Check it out right here. The Katadyn Pocket is the ultimate portable water filter, and it is on sale big-time right now at Safecastle. 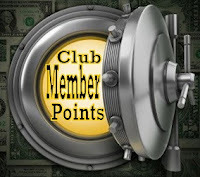 Great prices and free shipping for all ... and even better prices for buyers club members! These extra-sweet discounts are good only through May 10 on the delicious wet-pack meats that are good right out of the can over the next decade and beyond. No preservatives, no refrigeration needed. Effective May 1, I am back at Safecastle to run the business I founded in 2002. Mom calls me Victor, and friends call me Vic, but most folks out in the prepping universe know me as JC Refuge. By any name, I, along with a few family members built up Safecastle to be a leader in the crisis preparedness marketplace. Our customers came to know us as ultra-reliable customer-service mavens who would do anything in our power to assure the realization of their crisis preparedness goals. 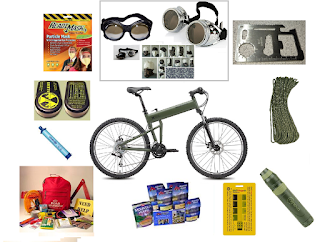 Now I am coming out of retirement at a time when major global threats and emergencies are putting huge stresses on preppers and suppliers everywhere. It's obvious there is just not much time left before the increasingly volatile status quo in America and around the world is going to rupture. Who is going to be there to take care of your loved ones? If not you, then who? Needless to say, now is the time to be laying in supplies, topping off your preps. Safecastle is ready and equipped to help. I intend that we will get that done for you in ways that cannot be matched! I'm excited about our upcoming big plans. We've got a great new web store that is almost ready to launch, and we're going to be revealing a new way we will be rewarding our loyal customers and members for their wisdom and business with Safecastle. More on these things will be forthcoming. FREE Buyers Club Membership Today! In the meantime, I do want to offer up a little something to those of you who are not yet taking advantage of our famous buyers club discounts and offers (which are about to get boosted).